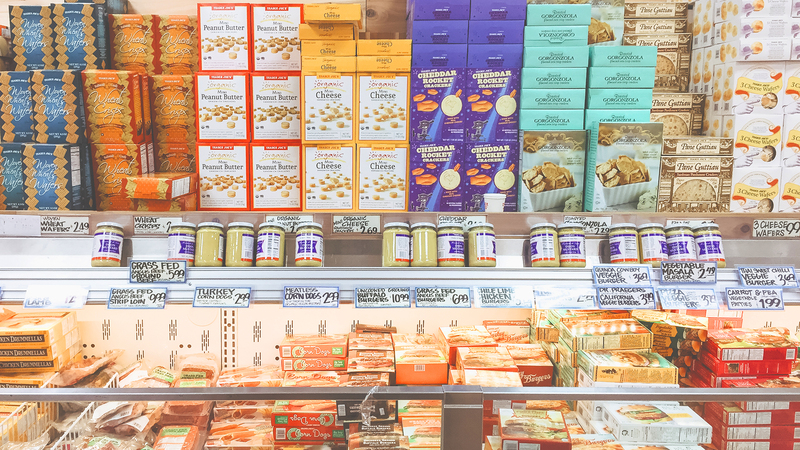 The list of reasons we — and many, many others — love Trader Joe’s runs long, from pantry staples one can only find at TJ’s, like Everything But the Bagel seasoning, to the grocery store’s constant launch of new products. But the one, and likely only drawback of Trader Joe’s has to be the fleeting shelf life and inconsistent availability of certain, beloved products. And thanks to a New York-based Trader Joe’s employee’s impromptu Reddit AMA (“ask me anything”), we finally have an answer as to why products sometimes run out, be it temporarily or permanently. Sad to report that my local Trader Joe's is out of the canned sparkling rosè and won't have any in stock until mid-June. In the AMA, Reddit user Semblanceofafeeling, who has worked at four different Trader Joe’s stores over the past three years, revealed interesting insight about Trader Joe’s, including where the flowers go if they aren’t sold by the end of the day. But the most common question, hands down, had to do with why certain products were commonly out of stock. According to the employee, it might have something to do with TJ’s “truck to shelf” ordering system, which Semblanceofafeeling says is Trader Joe’s way of preventing food waste. Seriously, all your girl wanted for her birthday was the cauliflower gnocchi from Trader Joe’s as it’s been out of stock for over a month…. Warehouse issues could arise, too. The third reason for a missing product is quality assurance and production delay. If a product is discontinued or it’s a seasonal item that likely won’t return, Semblanceofafeeling says shoppers can and should let Trader Joe’s know. “It depends on demand! The more you email and ask managers, were more likely to bring stuff back,” the employee says.